When the torsion spring becomes noisy or the extension springs snap, call our company for service in Dallas, Texas. With a vast experience in the domain of repair services, we can ensure the quality of spring repairs. It takes skills and expertise to either replace or fix springs and let us assure you that our company sends out the best pros. When you are in need of trusted and prompt garage door springs repair Dallas service, simply give us a call. We’ll take care of your needs. A pro won’t only respond quickly to provide broken spring repair but will ensure the new spring is properly adjusted. This ensures the proper balance of the garage door and thus your safety. So let us handle broken springs. We work with techs that do the job safely and correctly from start to finish. Do you want to replace springs before they snap? No problem. Just call us to make an appointment. Do you need emergency broken garage door spring replacement? Contact our company right now. 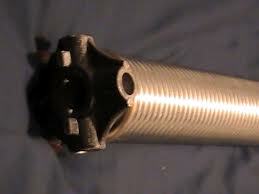 We will be of service for any garage door spring repair. You will need our assistance every time your springs make strange noises or the garage door is not balanced right. What we can also do is prevent some common spring problems with maintenance service. Just like all other steel parts, springs must be lubed. This ensures their flexibility and enhances their resistance to rust. In other words, we can help your springs remain functional up until the end of their lifecycle. Feel free to call Citywide Garage Door Repair Dallas for same day spring service. A pro can do any torsion spring repair. Whether you own a galvanized or oil-tempered spring, it will be fixed correctly. Do you want to adjust springs? Would you like to add safety cables to the extension springs? Did you have enough with the counterbalance springs and want to convert them to a torsion spring? Whatever you need, we make it happen in the most professional and stress-free way. So stop struggling with spring concerns and avoid dangers entailed by risky repairs and call us. We assure you the fast response and expert work of the technician. 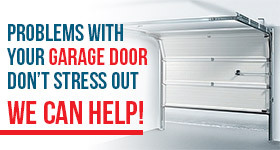 Need garage door springs repair in Dallas today? Call us now.